Enjoy the all new POINT BAR! 8 Beer Taps, Bar Top Slots, Large HD TVs, Theater Projector screen, Lounge area with booths, Tournament Style Pool Tables (FREE), Shuffle Board, Beer Pong Tables, and DJ ENTERTAINMENT EVERY SATURDAY! Relax by day and party by night with the best trained bar staff on the lake! Enjoy all your favorite sports on our large HDTV screens, including pro football and baseball and every UFC PPV Event for FREE! Ladies night are every Wednesday night from 9pm to 2am. All ladies receive Happy Hour prices during that time period. 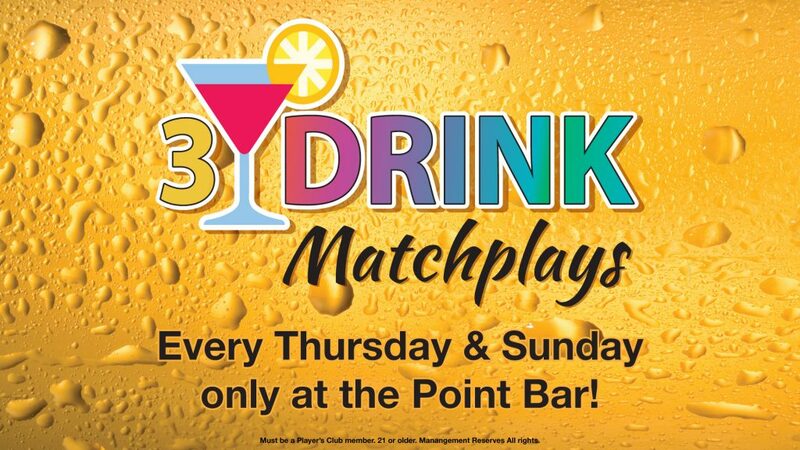 Thursdays and Sundays purchase 3 drinks and receive a $10 Matchplay good for that day! This Matchplay is NOT available during Happy Hour times 4pm to 7pm. 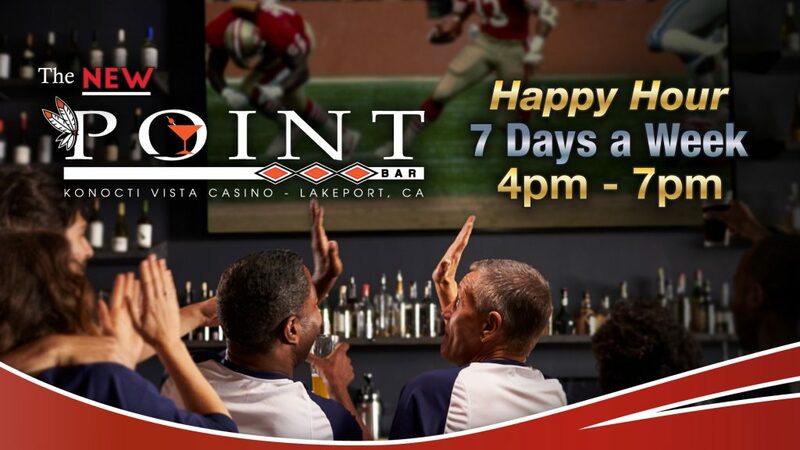 Happy Hour – 7 Days a Week! Ladies Night – Every Wednesday night 9pm to 2am!